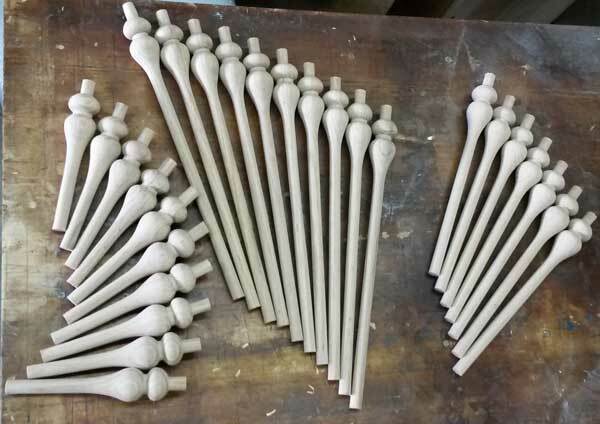 Turnings on this page are divided into two categories, commercial and art. 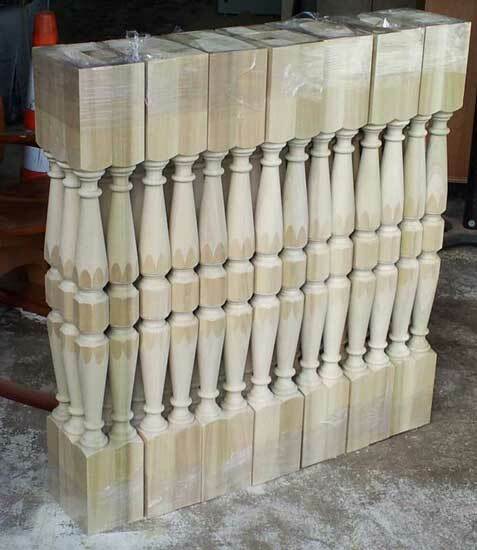 The art turnings are shown below the commercial turnings. 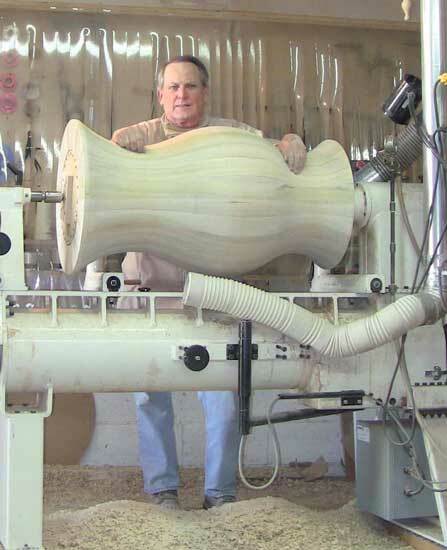 Commercial Turnings My lathe capacity is generally up to about 8 feet long and 18 inches in diameter. 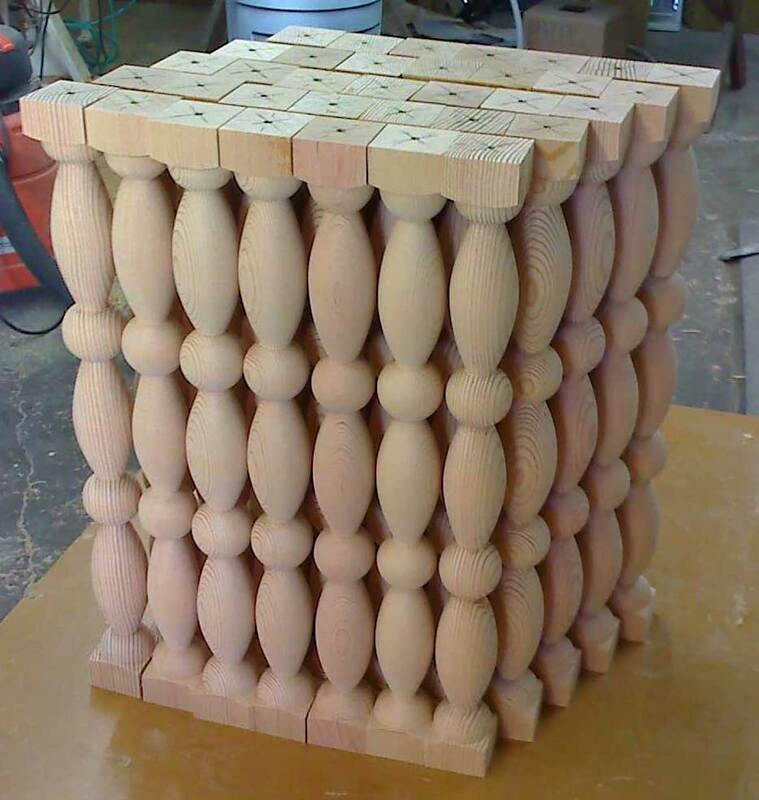 Depending on the particular design and how the piece is held, some sections of the diameter may approach 24 inches and the length may reach nine feet. I am happy to work with you on a case by case basis to determine if your needs and my capabilities are a match. Some prior work is shown below. Minimum order is one piece. Art Turnings My art turnings are generally sold through Copperwood Artware Gallery in Orange, CA. Pieces come and go. If the pieces below are no longer available at the gallery there will be something else there in their place. If you are in town please visit them. They are nice folks and Old Towne Orange isn't too bad either. 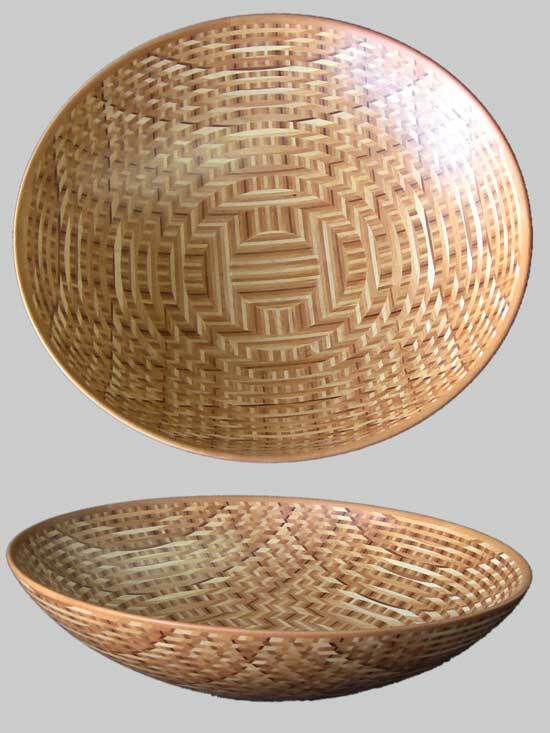 Unlike many larger bowls, this piece is made from glued up lumber rather than a recently felled tree. There are many steps involved in sawing and milling the strips, glueing, resawing, gluing, a little more sawing -- well, you get the idea. 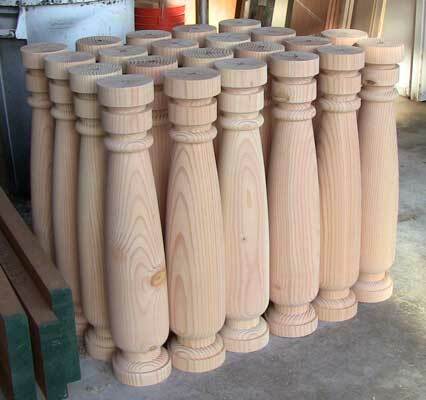 The woods are Beech, Cherry, Maple, and Mahogany. $2,500. 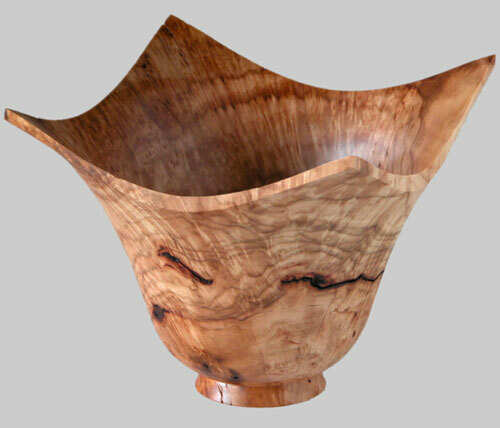 One challenge of woodturning is to blur the distinction between "Art" and "Function". This is a perfectly funtional bowl. However, by leaving a thin disk of the wood and bark in place, the visual interest is heightened and the viewer can actually see where it was once a tree. This piece is 16" across the longest dimension, $450. Another popular ornamental tree in this area is a species of Cherry that yields nice white flowers in February but almost no fruit. Like many other common trees, the wood is usually quite bland. However, occasionally that oddity of nature called a burl appears and this wood becomes most interesting. This piece is 5" tall, $250.